We incorrectly stated the date of the West Liberty Foods Lunch. The lunch will be held Sunday May 5th from 11AM to 2 PM at the Ron-De-Voo Park in downtown West Liberty. We regret the error and apologize for any inconvenience. We had a great Noon Meeting this week. Rotarian Todd Leach showed a video celebrating 100 years of the New Strand Theatre in West Liberty. Thank you Todd for all of the great work you have done at the New Strand Theatre. The meal was provided by Local Grounds. We had sandwiches and a choice of soup or salad. The meal cost $7.00. We want to thank Rotarian Norm Nicol for presenting an outstanding meeting last week. Norm talked about his purchase of a lawnmower business from Ohio. We wish him great success in his new business venture and thank him for bringing a new business to West Liberty. Next week’s program will be presented by Rotarian Ken Ruegsegger. The meeting will begin at 6:00 PM and the meal will cost $7.00. Bob Cline will be hosting another great video presentation at the Community Center Sunday, May 5, 2013 at 2 PM. The video will be entitled “People, Places and Things.” Many of you may already own the West Liberty 175 Year Photo Book. Bob will go into greater detail about the pictures in the book. Please plan on attending this great event at the Community Center. The West Liberty High School FFA chapter will be hosting their annual plant sale May 9 thru May 11. The plants will be sold at the West Liberty High School Green House. We will have more information about this event in next week’s Ringer. Note: The Ringer is handed out at the weekly Rotary meetings. If you are not able to attend, you can read it here on the website! See the Schedule page for more information on upcoming events and meetings. 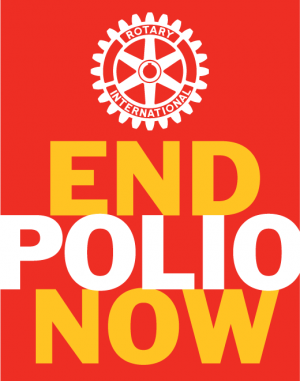 Enter your email address to get news from the Rotary Club of West Liberty in your email.